Paintless Dent Removal & Repair Services at your home or office in Riverside, San Bernardino and Surrounding areas. 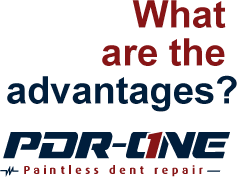 Paintless dent repair and/or removal is the quickest and most cost effective way to repair dings, dents, creases and hail damage without compromising the vehicle’s factory or custom paint. 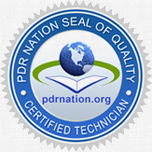 Despite the fantastic results PDR can achieve it does have its limitations.